Some have asked when these books will be available in paperback, and we’re happy to announce that the happy day has arrived! All of the Vintage Jane Austen books (except for Presumption and Partiality, which is will still be releasing soon, in ebook and physical) are now available in paperback! You can find them for purchase on Amazon at the links below. 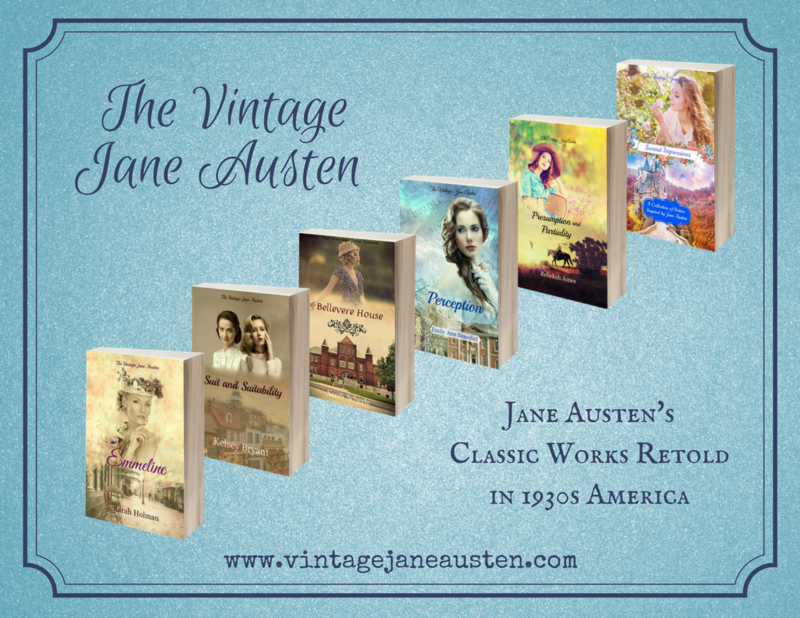 Today is also the first day of the Vintage Jane Austen Blog Event, featuring a giveaway, reviews, interviews, and more fun — it runs from November 5 until November 11. Check out today’s posts! Enter the giveaway for a $25 Amazon Gift Card here. Come back tomorrow and the rest of the week for more of the Vintage Jane Austen Blog Event! The first of the Vintage Jane Austen books is now available! 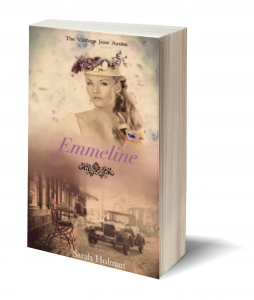 Take a look at what readers are saying — here are the latest reviews for Emmeline! You can purchase a Kindle copy on Amazon, and add to your To-Read list on Goodreads. Note: for those who like physical copies of books, fear not! A paperback copy will be forthcoming, hopefully in March 2017. Watch this space or subscribe by email below for more updates!